Mary Simon launched the online petition after her niece Natalie May died by suicide last year. Long-time Inuit advocate Mary Simon's petition to get suicides in Nunavik recognized as a crisis by Canada and Quebec has gathered 51,500 signatures, nearly reaching its goal of 55,000. Simon was moved to start the campaign at the end of last year after attending the funeral of her 22-year-old niece Natalie May, who was among the suicides in Kuujjuaq. She started an online petition with her brother Bob May and posted it on Facebook and Twitter. 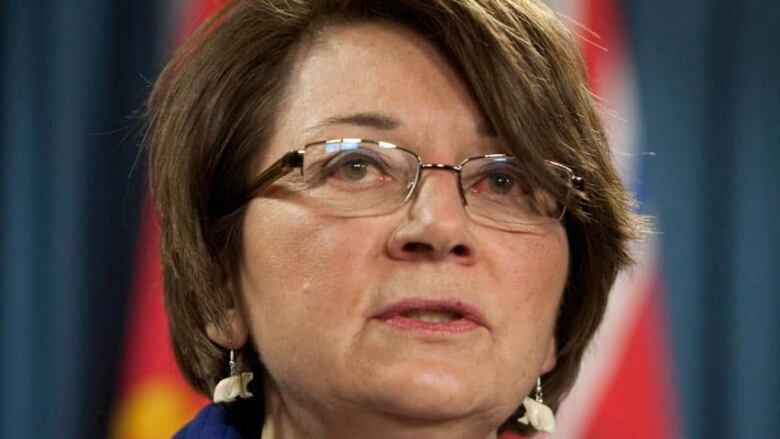 It asks that the premier of Quebec and the prime minister of Canada officially recognize the crisis and appoint a special representative to implement and monitor a mental health treatment program in Nunavik. "We thought we needed to get more support from not just Nunavik, but from the public, so that we could illustrate there was substantive support from outside of Nunavik to support the efforts to eliminate suicide," Simon said. And with nearly four times the population of the region having signed the petition, Simon says she's ready to start the next phase of the campaign. "The federal … cabinet has decided to shuffle, so I think there's going to be a lot of time [taken to] educate … certain ministers that have been appointed to our areas," Simon said. Simon says the government is aware of the issue, but the resources in Nunavik are "insufficient." "We don't have diagnostic services. We don't have a place where people can go when they need regular counselling," she said. Simon said her niece had stayed with her in Ottawa for a while and had access to regular counselling, but the resources weren't there for May once she returned home to Kuujjuaq. "We're not attacking anybody," Simon said. "We're just trying to inform and demonstrate to the federal government and the provincial government that this is an issue that they need to take a closer look at."